Juan Zelada is thought be the first musician to make such a money-back pledge to audiences for his 26 date UK tour. 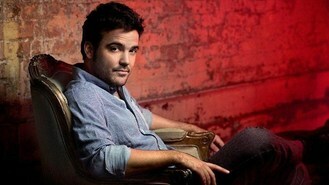 The Spanish-born, London-based singer and pianist believes it is a good idea to make his stance when times are hard. And he has taken out national newspaper ads to spread the word about his offer. Juan - whose most recent single The Blues Remain was a Radio 2 record of the week - said: "I think people are reluctant to spend money doing things they wouldn't normally do. "I love new people coming to my shows and this is a great way to encourage them - I know they will have a great time. "This way they have nothing to lose, I'm guaranteeing it. Shops guarantee stuff you buy; people send back food in restaurants if it's not good - why shouldn't they be able to get their money back if they feel my show wasn't good enough?" He has placed an ad in tomorrow's edition of The Guardian to publicise the offer about his High Ceilings And Collarbones tour which starts on March 28.